Last Time Out: Villanova beat Creighton 66-59 in overtime; Marquette lost 70-69 to St. John’s. 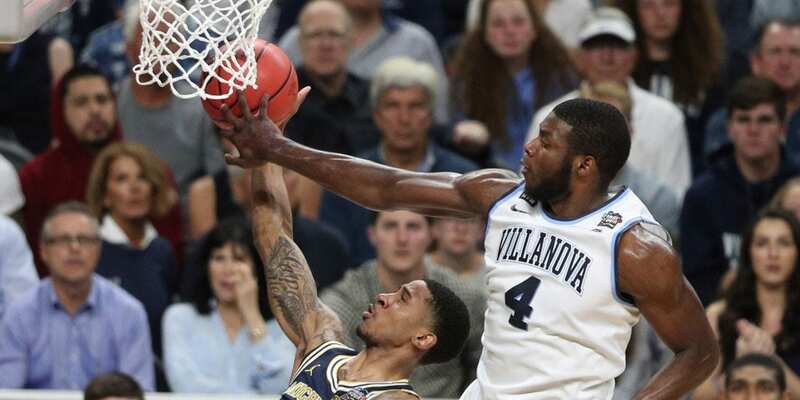 The early losses to Furman and Pennsylvania now seem like just a memory, as Villanova comes into Milwaukee riding an 11-game winning streak. Or do they? Though Villanova is consistently winning, the Wildcats haven’t been the dominant outfit they’ve usually been under Jay Wright. At its core, Villanova is still essentially a three-man team, dominated by Eric Paschall, Phil Booth and Colin Gillespie. Saddiq Bey has shown signs of being ready to step up, but even with him providing points, Villanova is still completely lacking in depth. If any one part of their offense has an off night, the win streak is likely to go down with that player. Nobody in the Big East besides St. John’s seems to have a clue on how to stop Markus Howard, as the Marquette star has scored at least 23 points in every Big East game that he’s played more than a scant few minutes — except the two losses to St. John’s, where he scored a combined total of 25 points against the Red Storm. However, even though Howard does a lot of everything for the Golden Eagles, he is not a one-man team. In fact, Marquette has proven that it can win without Howard when it beat Georgetown in a game where he played just three minutes because of injury. Betting Side note: Line shopping is crucial and players tend to do it less and less these days because it is hard to find a better price and then withdraw money and move it to another betting site before the game begins. The solution is using bitcoin and the best bitcoin sportsbooks. In minutes you can fund a betting site and get a half point on the better. The best part however is you never have to keep your money in the sportsbook account. Desperation. If Marquette is going to make a run at the Big East title, it absolutely must win this game. Both the Golden Eagles and the Wildcats are safely in the NCAA tournament field barring an absolute collapse, but at 8-2 in the league, Marquette still has a realistic chance to knock 10-0 Villanova off of its throne and claim its first title in the reconfigured Big East. However, if the Golden Eagles lose this game, their chances of winning the Big East likely go up in smoke, as they’d be three games back of the Wildcats with no realistic shot at a tiebreaker. Given that situation, Marquette is likely to come out as a desperate team, especially after the Golden Eagles tasted their first-ever defeat at the new Fiserv Forum on Tuesday. Villanova isn’t likely to be as desperate as Marquette, but the Wildcats will have to match the Golden Eagles’ intensity to get the win they need to all but nail down the Big East’s regular season crown. Much like the Duke vs Virginia game, this matchup could be all about pace. The Wildcats can slow the game down to their pace. With only four scoring options at best on the floor, Villanova doesn’t have the horses to win a fast-paced game that’s up and down from the opening tip. With Howard on the other end of the floor, it’s even more important that Villanova doesn’t get itself into a scoring contest with Marquette. Instead, Villanova has to make sure that it makes the most of every possession. Efficiency has been the Wildcats’ game this year, and they’ll have to win on quality of possessions in this contest, because they certainly won’t win on volume. The Golden Eagles can get Paschall in foul trouble, or limit his effectiveness. There might not be a more important player to his team than Paschall is to Villanova. He hasn’t fouled out of a game yet this season, but he’s come close on two occasions, picking up four fouls each in games against Kansas and Pennsylvania. Not coincidentally, both of those ended up in the loss column for the Wildcats. Only once in Big East play has Paschall played fewer than 36 minutes, and that was because Villanova blew Seton Hall out of the water in an 80-52 rout. Against Georgetown and Creighton, Paschall didn’t come out for even one minute. Take him away or limit what he can do, and the Wildcats can be easily beaten. Could this be the time for a changing of the guard in college hoops? I’m not high on Villanova at all this year, but the Wildcats’ 10-0 record shows a team that knows how to win these kinds of games. Marquette has played some quality teams and gotten good results, but its two losses to St. John’s suggest that this is a team that’s not quite there yet as far as the Big East goes. Throw in that the Golden Eagles are 1-12 over the past six years against Villanova, and I think I’d rather have my free points with the Wildcats. I have to take Villanova here.